Are you also a master of all things French? Do you merit the title of FrenchCraziness? Here at FrenchCrazy, we enjoy sharing our knowledge with you and we hope to continue doing so. However, we also realize that it is equally important to have others share their knowledge and experiences as well. To achieve this together, we love to invite your participation and help to provide our valued readers with quality articles and interesting insights. 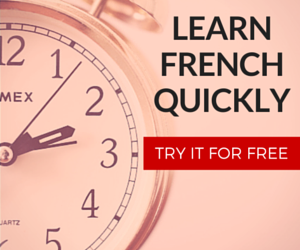 FrenchCrazy is an international hub for French students and French people. We’ve reached over a 100 countries and have surpassed 200,000 page views per month. First time contributors are acknowledged in the article; those who contribute consistently will be compensated monetarily. Success stories: case studies, personal stories, motivation, unique topics and fresh ideas that provoke intellectual discussion among a knowledgeable web audience and will make an impression on them. Traveling France: destinations, tips to save money, where to go, what to do. Inspiration: excellent sources and interesting inspiration for those learning French. See: success stories (above). Submitted articles about books, products, “programs”, schools, and lessons are oftentimes not accepted due to a conflict of interest. Especially when said reviews or endorsements are made by the product’s creator and/or affiliates. While exceptions do exist, If you want to promote your own products then consider purchasing an advertisement. We take a stance: quality over quantity. Please do not feel like you are doing us a favor by submitting an article. Likewise, if your sole intention of writing an article is to flood your website or product with our readers then refrain from contacting us. One important factor is that you need to know exactly what you are talking about and be certain that you can write well. You should be a traveling connoisseur, in the process of learning French (and talking about difficulties), or a master of the French language. In order to maintain a high quality for our articles, every article will be reviewed before being published. NOT all submissions or applicants can be accepted. Some sites let any submitted article make it through, but we are looking for a polished product and we won’t mind sending you edits to make sure both parties are represented fairly. Only original and unpublished articles will be accepted. Articles should be free of most typos. It may be in English or in French, somewhere between 700 – 1,500 words. FrenchCrazy is dedicated to sharing high quality articles with our readership, and we reserve the right to decline or remove any article that we consider does not reach the standards we have set without stating explicit reasons. It’s best to contact us before writing anything. Contact us with a brief but distinctive description of yourself, your expertise/skills and your topics of interest. Suggest topics you specialize in or are passionate about and the type of articles you would like to write for us. It will be easiest if you indicate the proposed article title and a brief summary. INDICATE THAT YOU HAVE INDEED READ THIS PAGE [Write for FrenchCrazy]. We may provide you with detailed guidelines and suggestions to clarify our expectations. We are not interested in SEO companies or anyone trying to use FrenchCrazy to promote things which are irrelevant to the French language and/or its culture. If you have the knowledge, talent, skill and time, then our audience is waiting to hear what you have to say. If you read everything above and are still considering writing for us then we would be glad to welcome you. We are always excited to make new contacts and explore new possibilities. 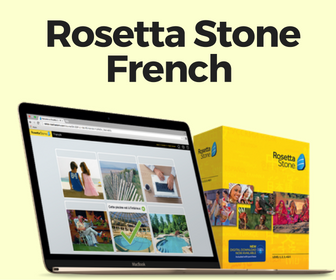 FrenchCrazy.com features articles on how to learn French. We also talk extensively about how to live in France and about French culture. Learn more about FrenchCrazy on our about page. Disclaimer: I am an affiliate with certain products displayed on this website. When you click on links and purchase items, in some cases, I will receive a referral commission. © John Elkhoury, 2011 – 2019. All Rights Reserved. FrenchCrazy Media LLC.